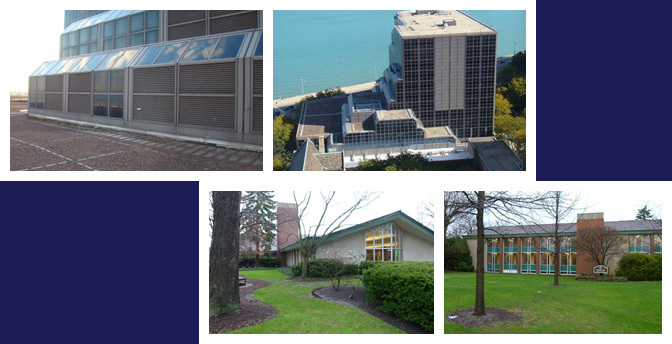 BTC has recently been awarded a partial roof replacement design project for the Arthur Rubloff building on Northwestern University's Chicago campus. The Rubloff Building is a mid-rise structure constructed in the early 1980's and has several low-slope roofs at various levels. BTC's scope of work for the partial roof replacement will include design, bidding assistance, and construction phase services. BTC previously designed comprehensive glazing repairs to the complex curtain wall system at the project, and oversaw the implementation of those repairs. Kami Farahmandpour, BTC's Principal, stated that "we are pleased to continue our work with one of our long-standing clients: Northwestern University, particularly on such a high-profile building on Chicago's lakefront. Our team is in place and ready to get the project underway."